Lot Detail - 1962 Masters Spectator Guide - Arnold Palmer's 3rd of 4 Wins at Augusta-Superior Condition! 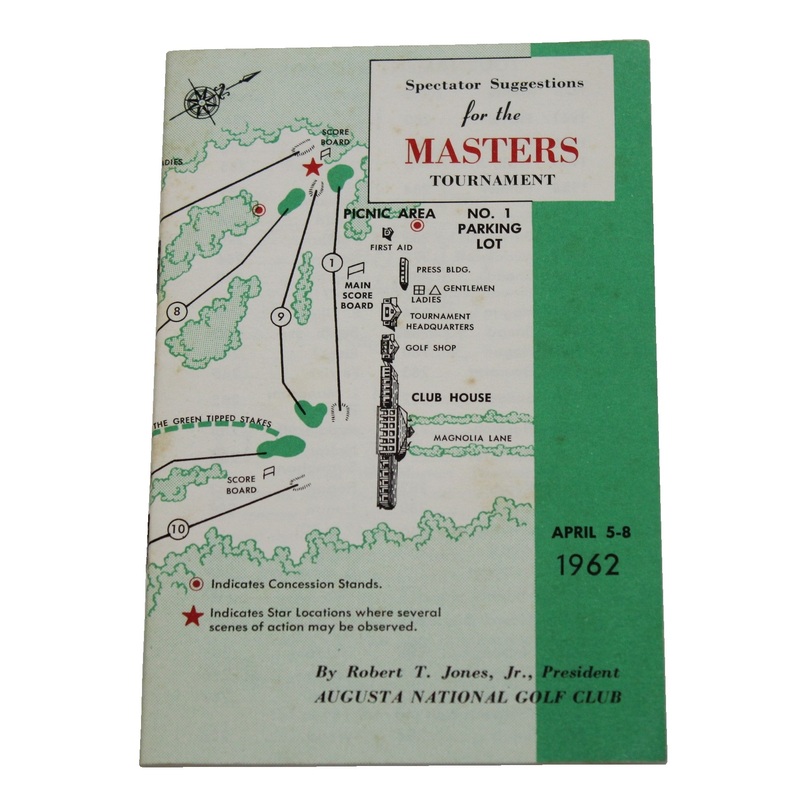 1962 Masters Spectator Guide - Arnold Palmer's 3rd of 4 Wins at Augusta-Superior Condition! 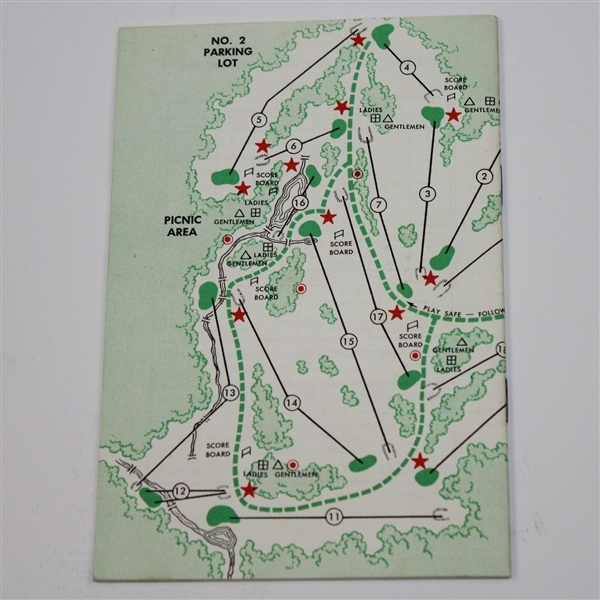 This lot features the 1962 Masters Spectator Guide a collectible which combines the allure of Augusta National memorabilia with the charm of the ever popular champion Arnold Palmer. With review of this publication, through the attached images, it is easy to see that it is in superior condition and present well when measured against any other known examples of the over fifty year old publication. With these traits it is easy to see why this lot should be popular with bidders.